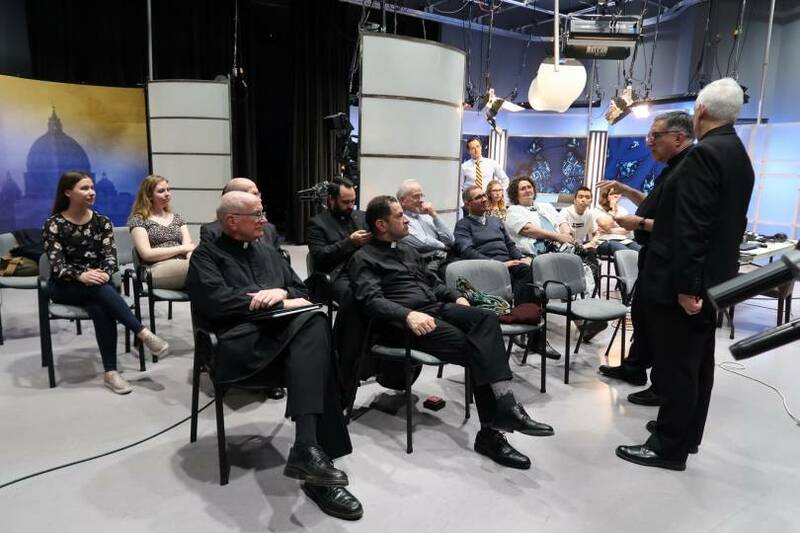 On Saturday, May 19th, the Catholic Register's Youth Speak News team came to Salt + Light TV's studio for their annual retreat and training seminar. 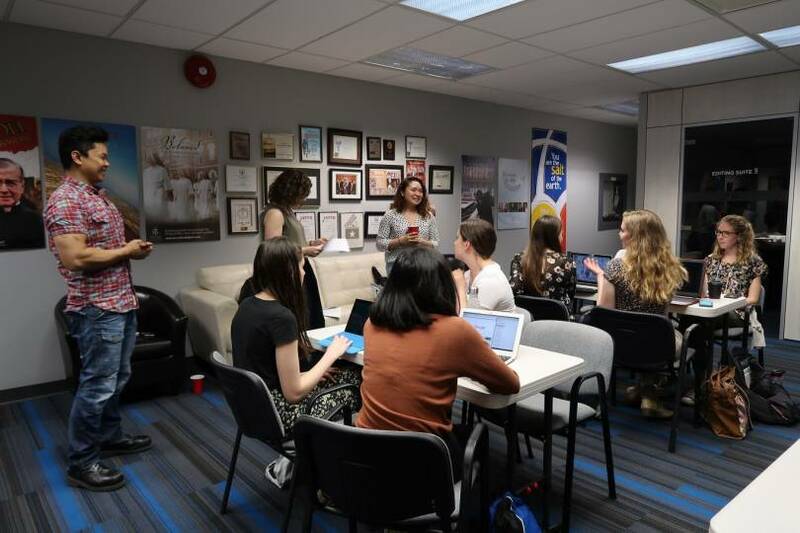 It was an afternoon of fellowship and camaraderie as S+L producers, Noel Ocol and Emilie Callan, helped the team sharpen their script writing skills with an exercise that saw the young writers take a current news story, distill the facts, and turn it into a script for television. 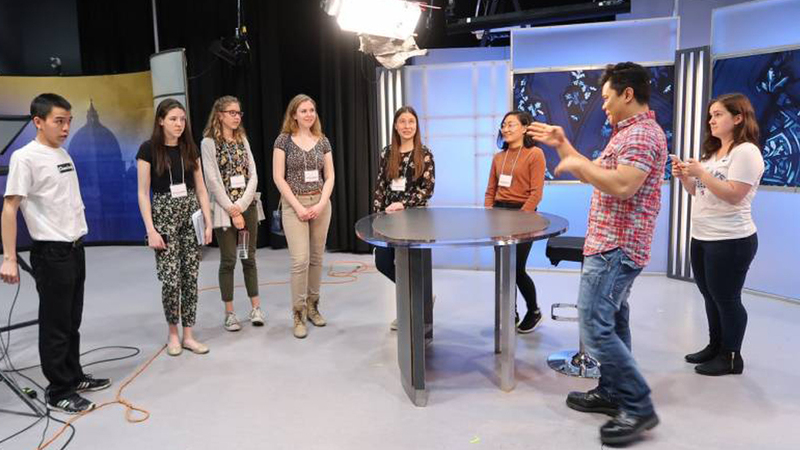 After racing with the clock to get their submissions in, the young journalists got ready to read their news scripts off the teleprompter and into the camera on the set of Salt + Light TV's Perspectives Daily. And here's how it turned out. The team did a fantastic job, and the results were great considering it was their first time in front of a news camera. 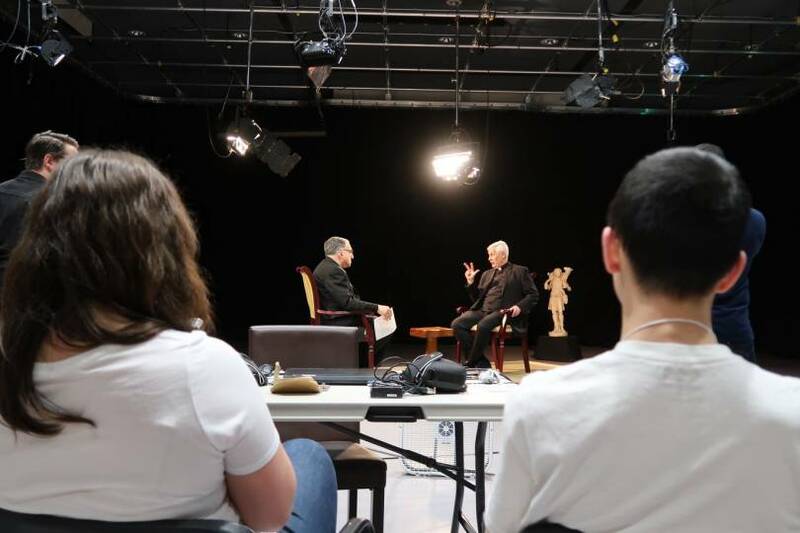 Afterwards, the team was treated to a live interview taping of Witness, in which Fr. Tom Rosica, CSB, interviewed the Superior General of the Society of Jesus, Fr. Arturo Sosa, SJ. It was great fun hosting the Youth Speak News team again this year. I'm certainly looking forward to having you guys back again in 2019! Youth Speak News is an award-winning youth mentorship and writing program to help young people with an interest in media to develop their skills in a faith context. 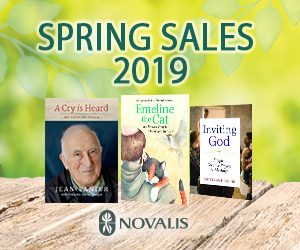 YSN provides regular online workshops, and writers have opportunities to be published in the pages of the Catholic Register and CatholicRegister.org website.